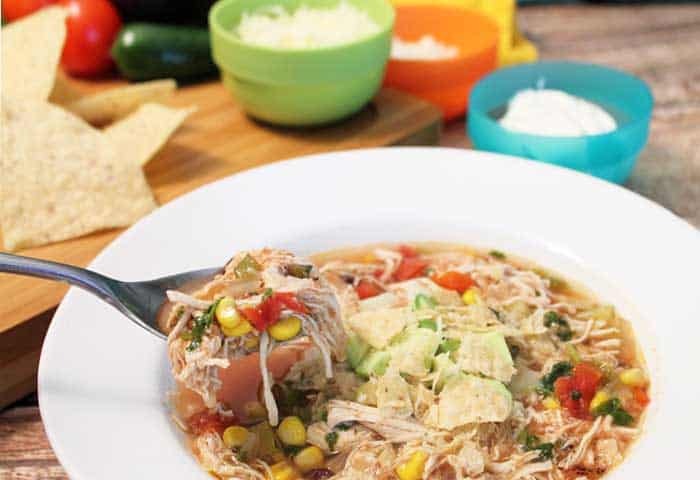 This Crockpot Chicken Tortilla Soup is so easy and it’s full of all the delicious flavors associated with Mexican dishes. Just start it in the morning before you leave the house and you’ve got an awesome tasting hot dinner waiting for you when you get home. 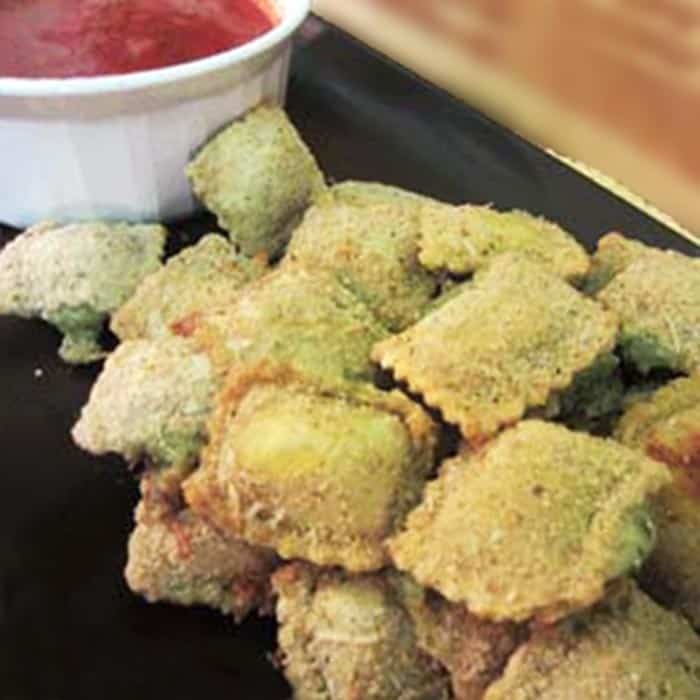 And, if your kids are on all different time schedules, it’s perfect for single servings too. 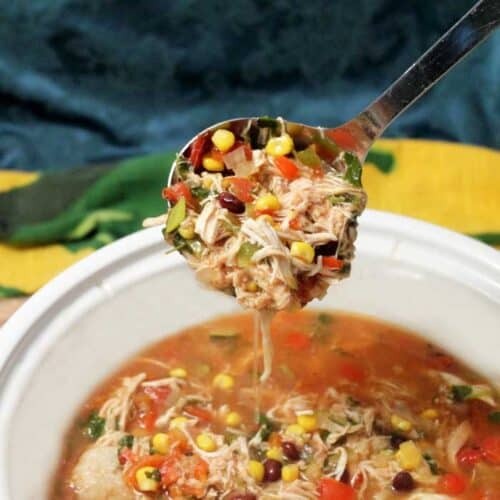 We’ve actually been having a few cool days recently, which is kinda weird for March in South Florida, but it’s been a perfect time to get our fill of soups and stews before the summer heat kicks in. 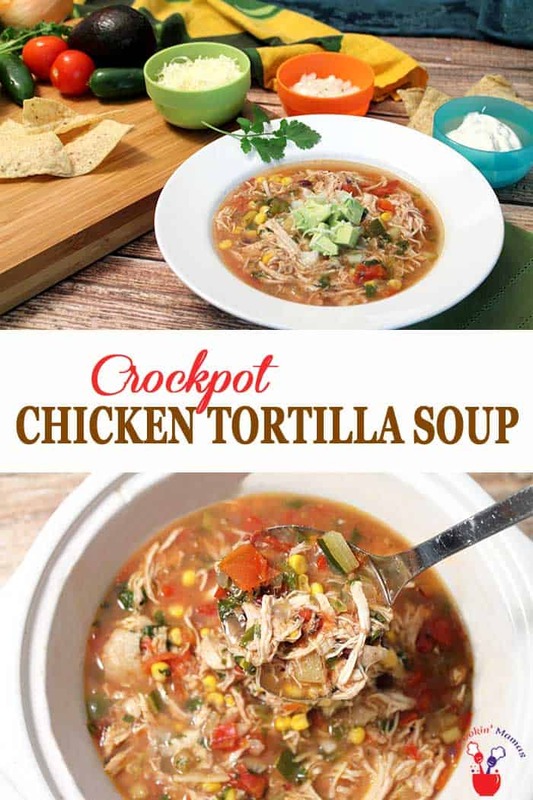 One of my favorite kinds of soup, besides Chicken Corn Chowder and Homemade Turkey Soup, is chicken tortilla soup. Do you kind of get the feeling I really like soup? lol I fell in love with this soup when I started visiting South Texas and Mexico for work and have been making it ever since. I’m not sure if it was the wholesomeness of the soup, like a full dinner in a bowl, or the fact that I got to put all my favorite toppings on it, like avocado, cheese and tortilla chips. 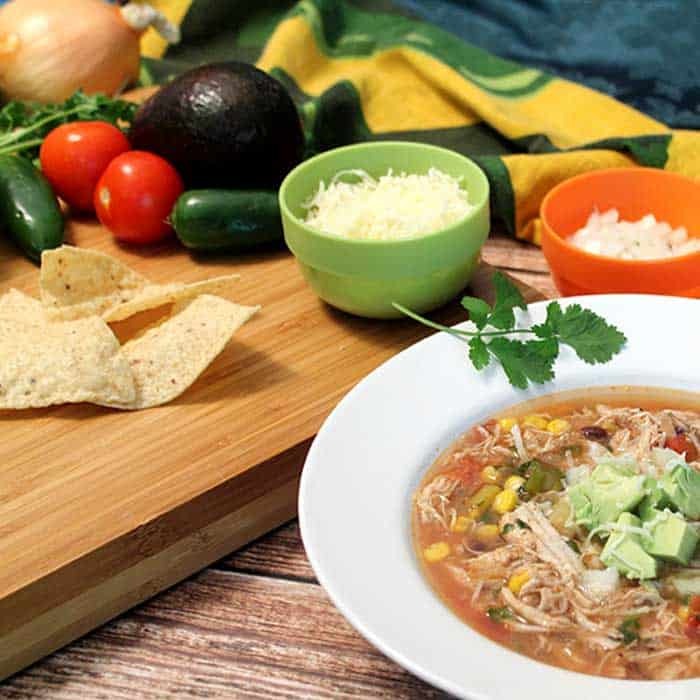 This crockpot version of chicken tortilla soup is one of the easiest soups I’ve ever made. It’s full of chicken, corn, black beans, fire-roasted tomatoes, spices and of course some jalapenos. 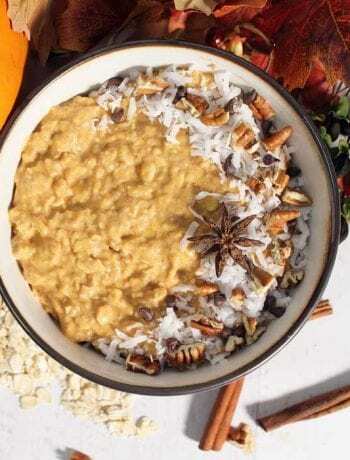 All you have to do is dump all the ingredients in a crockpot, cook it on low if you’re away from the house for the day or on high if you want to start it after lunch then just forget about it. Not only will it be ready for dinner when you get home but it makes the house smell wonderful. In fact, it’s making me hungry just waiting for it to get done. 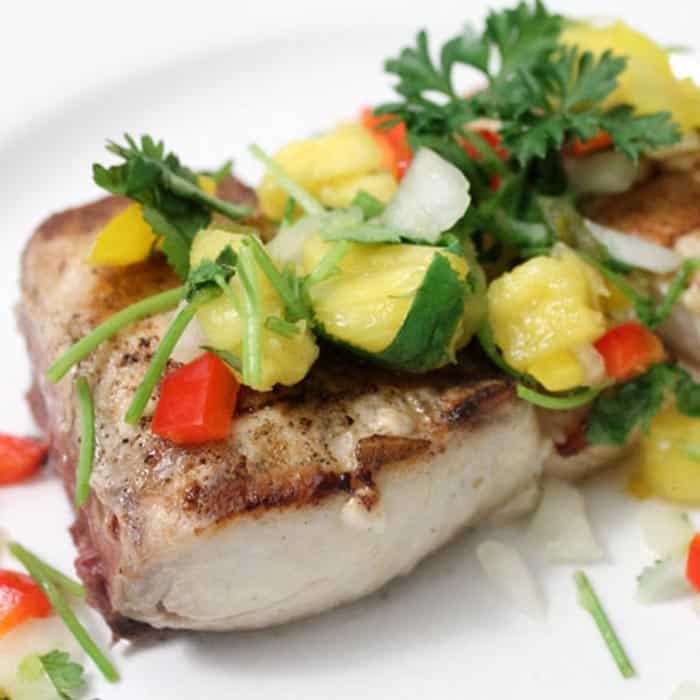 I like to add some cilantro and lime juice at the end to give it a little extra pizazz and then dish it out with plenty of our favorite toppings. I usually serve them on the side, kind of like a taco bar but in this case a soup bar (lol), so everyone can add what they want. My favorites are cheese, avocado (of course), sour cream, chopped onion and tortilla chips. Need a new crockpot? 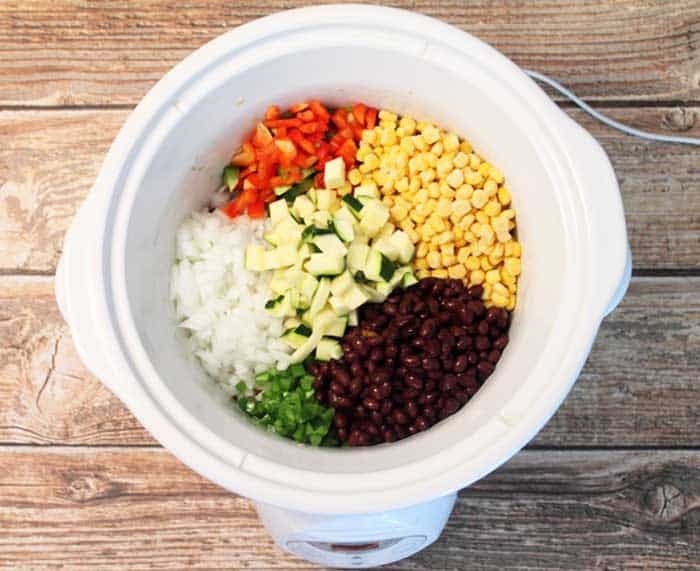 Check out this Hamilton Beach 7 Quart Stay Or Go Slow Cooker which I love and it had outstanding ratings from customers.